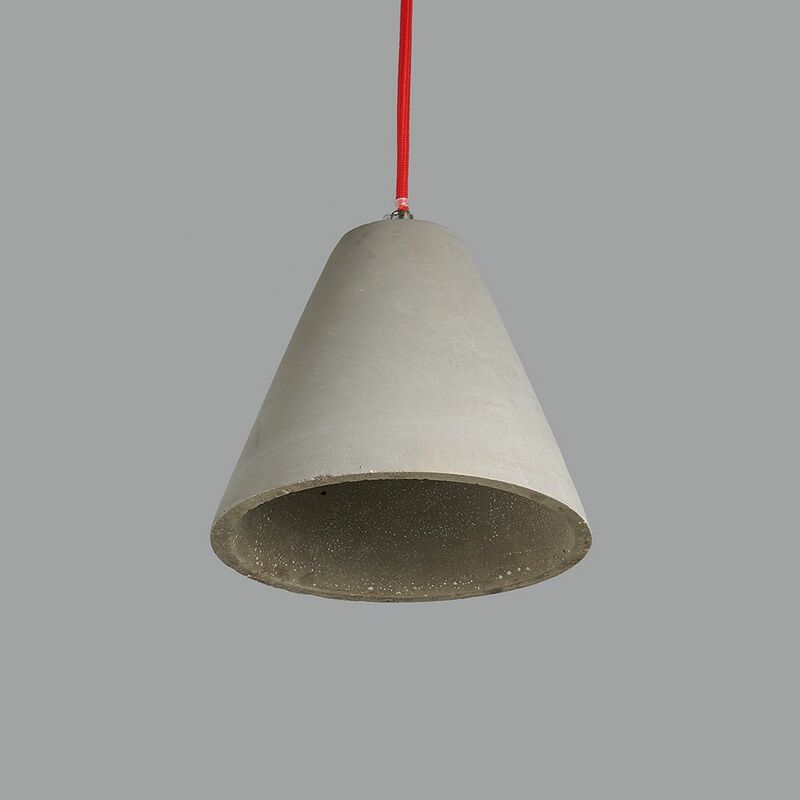 This pendant light is made from roughly poured grey cement, giving each light a unique and characterful finish. They look great lit or unlit, emitting a soft, warm glow. 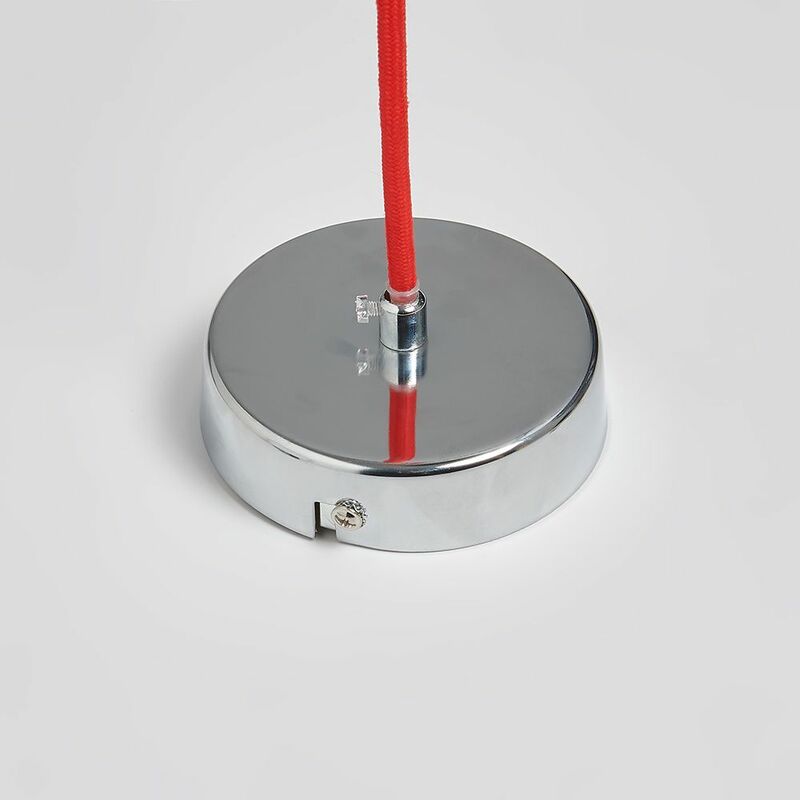 They come with around 110cm of red fabric flex that can be shortened to any length and a metal ceiling rose, as shown. 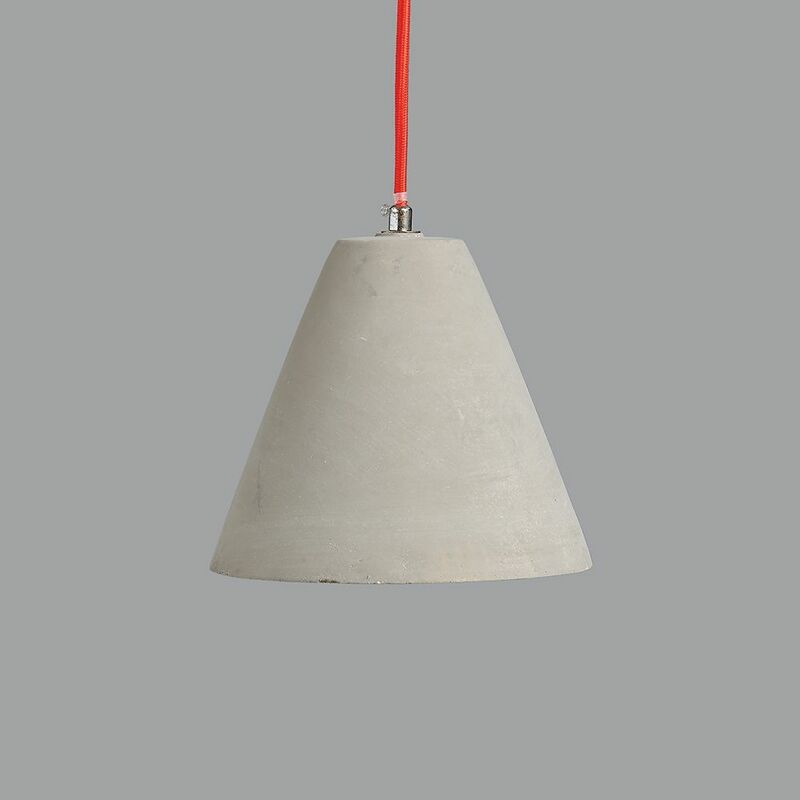 Takes a standard E14 (small screw) bulb and is dimmable (max. 40W or low energy equivalent).